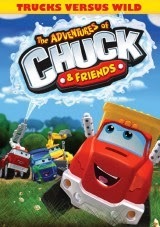 Today (January 21, 2014), Shout Factory Kids, in collaboration with Hasbro, released The Adventures of Chuck & Friends: Trucks Versus Wild on DVD! Super excited for this one's arrival, my boys could barely wait for it to show up in the mail! They were thrilled to have the chance to play along with their actual Chuck and friends trucks! We had no idea it was even a television program but the boys have always loved these trucks. The synopsis says "The unbelievably fun adventures of Chuck, the little dump truck with big dreams, and his friends—Digger, Handy, Rowdy, Biggs, Boomer and Flip. Watch as Chuck and the gang have adventures with a helpful mechanic, a camping trip, a star-studded trip to the beach and more in these awesome cartoons guaranteed to put fun into high gear!" Included are ten new episodes as well as a bonus sing-along. Excited to bring to life their toys, the boys watched this one ever so calmly with each of their trucks, waiting to see which of the characters they might have from the show! Of course we had to find it on TV so we could watch other episodes after the boys were done watching these ones. Recommendation: Both boys enjoyed watching this and I actually thought it was pretty cute too! I loved the lessons that chuck and his friends learned about things like going to the doctor and being honest! I definitely think at $13 its worth it to purchase. Giveaway: Shout Factory is going to give one of A Lucky Ladybug's lucky readers a copy Chuck & Friends: Trucks Versus Wild on DVD of their own! For son. He loves Chuck. This would be for my nephew. He loves anything to do with trucks. I would love to be able to give this to my youngest son. He really likes Chuck and has watched every episode on Netflix! This would be for my grandson and he likes Chuck and Friends. This would be for my kids. I don't know that they have seen the show before, but it definitely looks like one they would enjoy. It would be for my nephew. I think he would enjoy this. This would be for my nephew who I would assume watches Chuck. He loves trucks. This will be for my nephew who is a big fan! This would be for my grandson, he is a big Chuck's fan. This would be for my 3 yo son who loves Chuck and basically any truck/vehicle. This would be for my nephew. Thanks for the giveaway! If I won I would give this to my 2 1/2 year old grandson. He loves anything with wheels and I would think he loves Chuck & Friends. yes my daughter is a fan. This will be for my little grandson, he and I will watch it together. 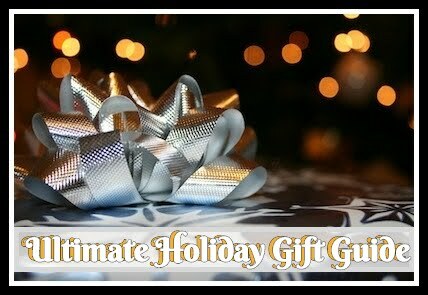 I honestly would not change a thing with your site, you always have some of the best giveaways too. Oh, but how about having some Sid The Science Kid DVD's? That would be awesome. This one would be for my son. He loves this show and would enjoy these shows. My nephew who is a big fan! This would be for my sons. We recently saw our first episode on Netflix. They loved it! This would be for my grandson, he is a big fan of the show. This would be for my son and he is a huge Chuck fan!!! This would be for my daughter whom is a huge Chuck fan!! this would be for our son, he is a huge chuck fan! My 4 year old son, he loves Chuck!! I'd like to win this for my kids, they like Chuck N Friends! I am entering this for my friends son, he would love this! This would be for my grandson and he is a big Chuck fan!! this would be for my son he is a fan! My nephew would absolutely love this! He hasnt seen it before though! Thanks so much for the chances to win. I would give this to my son, I think he would really enjoy it! 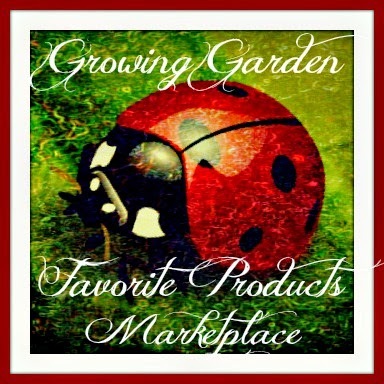 I love your name on your blog, I love Lady Bugs, I collect lady bug themed stuff for my office....... I love the clovers you have right now too! 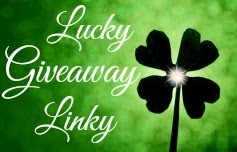 Your logo and look is the perfect theme for giving away prizes and winning because Lady bugs are suppose to be lucky......... I carry a lucky ladybug in my purse so I can always have one with me. This would be for my son and he is a big Chuck fan. For my kids.. they are the fans.